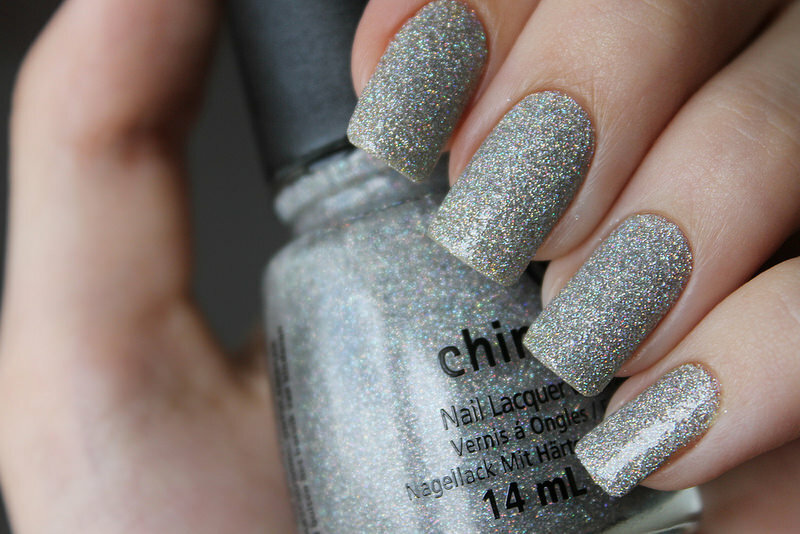 This season models are going the opposite way and creating dazzling half-moons with glitter polish. 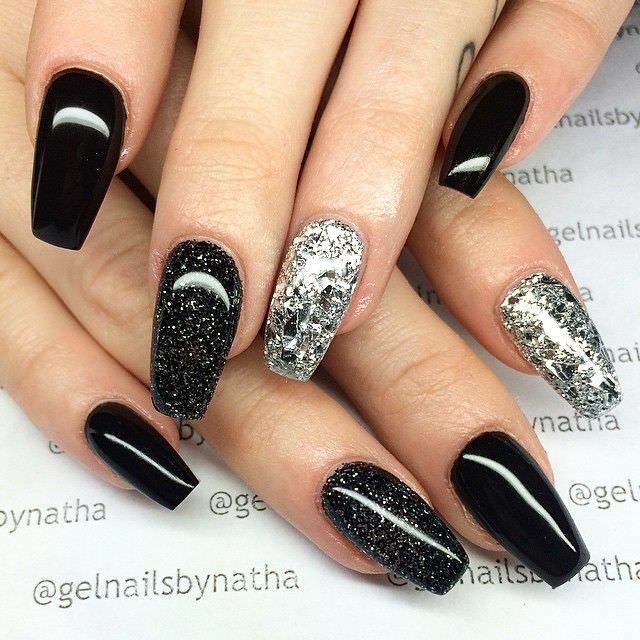 Gold glitter nail designs give that extra edge to your nails. The gold fade nail design is a growing popular trend as creating the design is quite easy. 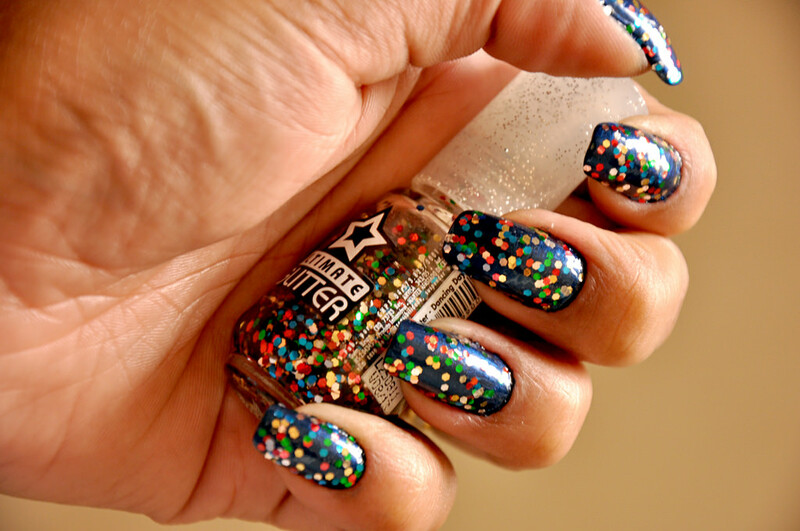 Glitter nails can also be a subtle nail design. 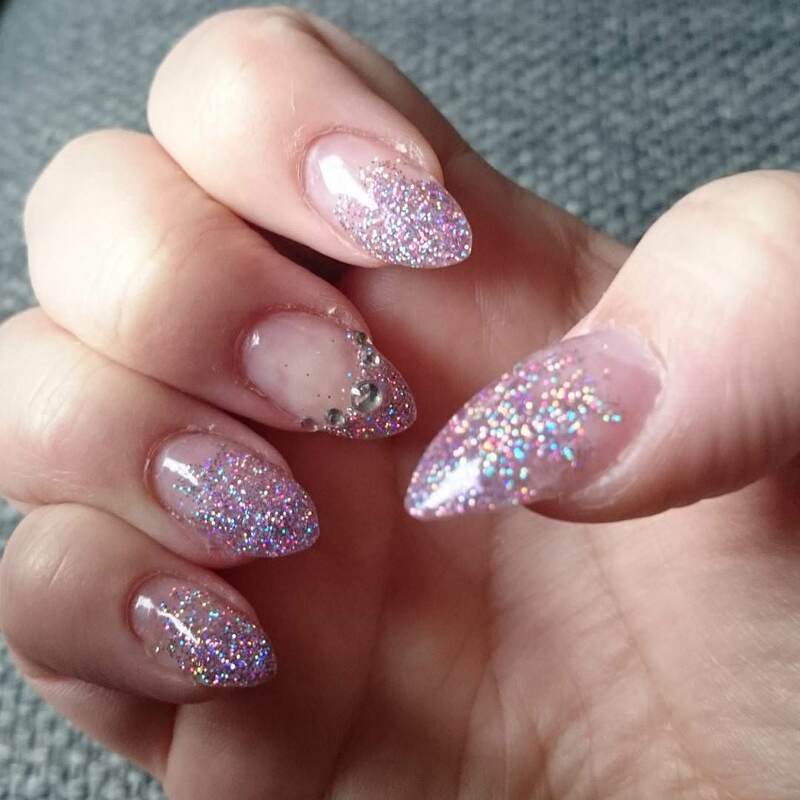 Ombre effect nails work perfect with loose glitter. 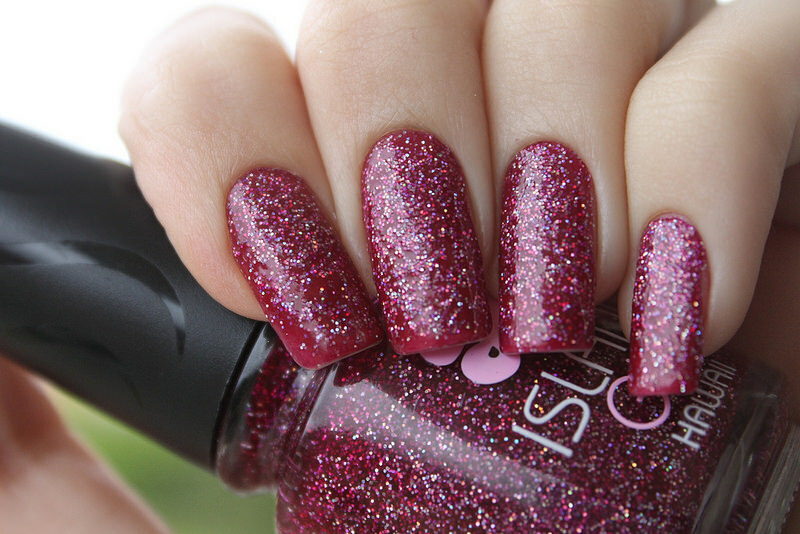 Whether it be tips or from the bottom up, apply glitter gives any manicure a glowing touch. 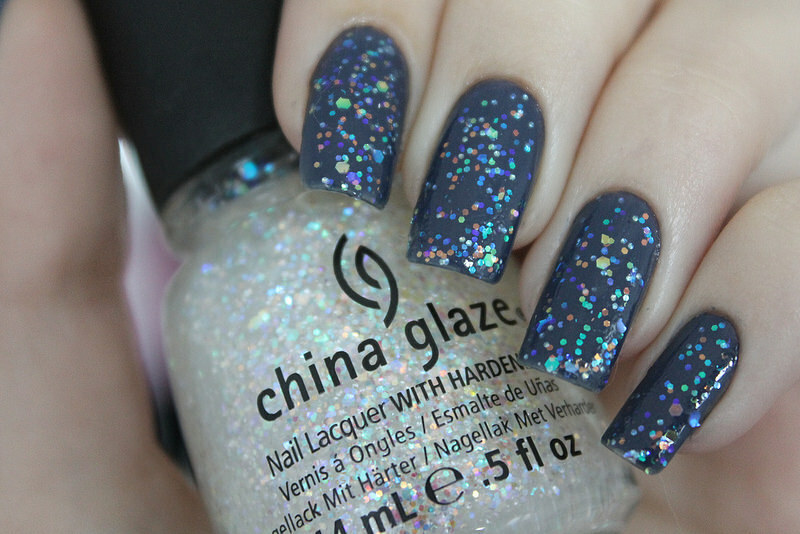 Another way to embrace the Ombre trend is to combine two different shades of glitter. 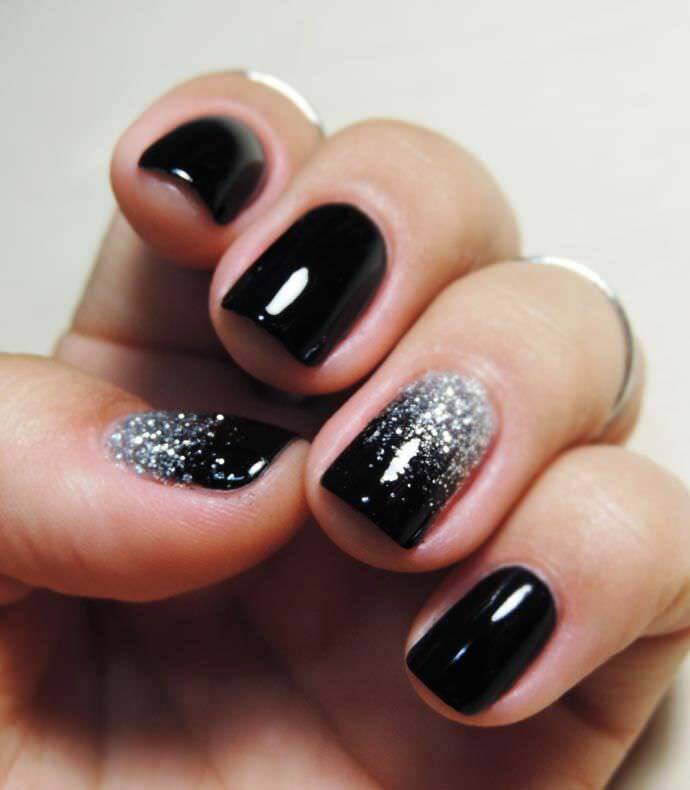 Also, Ombre nails don’t have to go up and down – model trends embrace the glitter to half sides only. 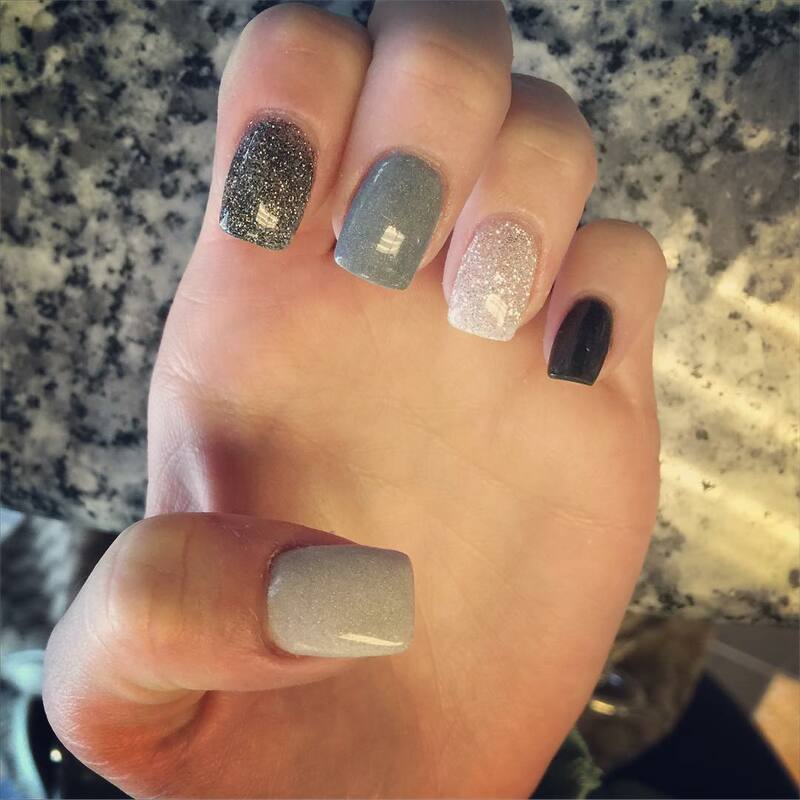 Make your French tip design shine with glitter instead of the traditional white tip. 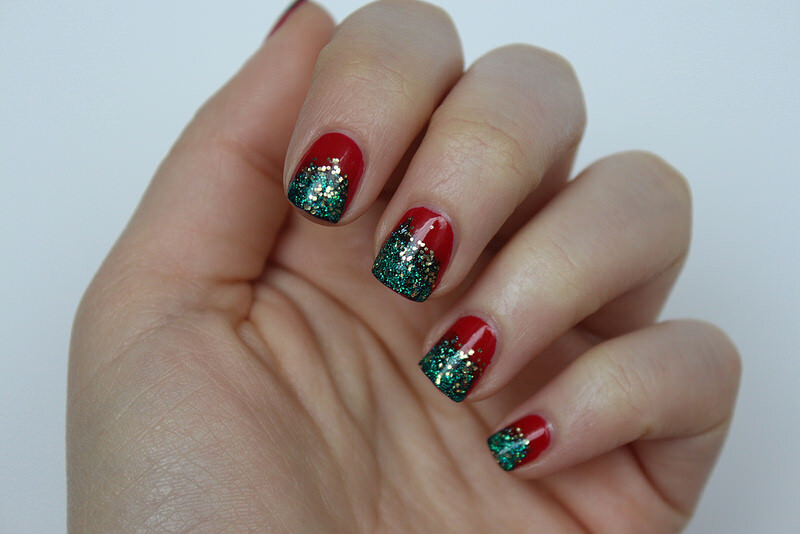 Glitter tips are perfect for any holiday season to creative a festive look. 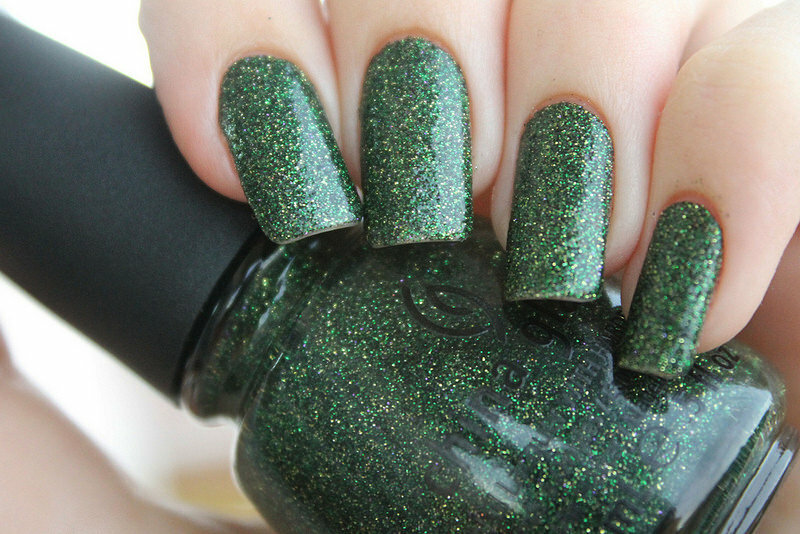 The glitter nail polish is applied first, and then topped with an opaque lacquer. 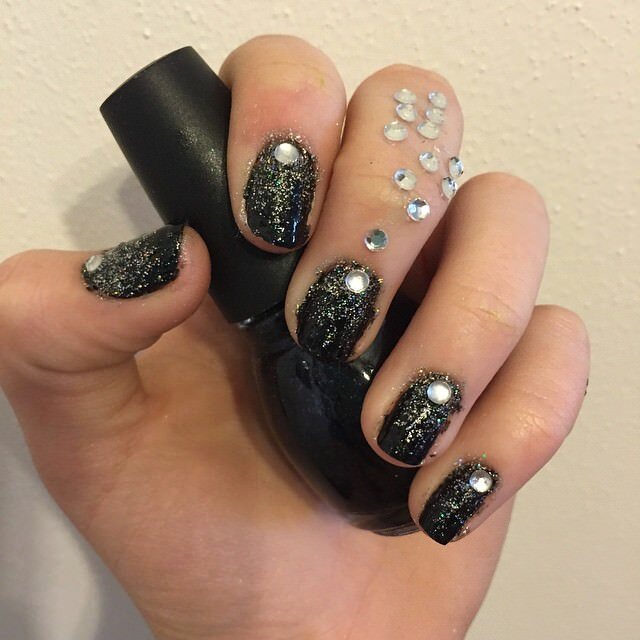 The single glitter nail has been a popular choice for a while. 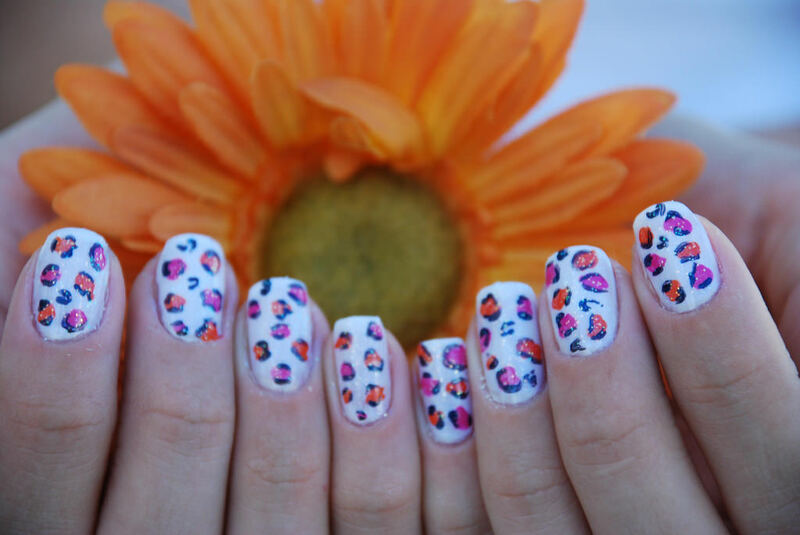 Update the design with tracing around portions of the cuticle to give a finishing look. 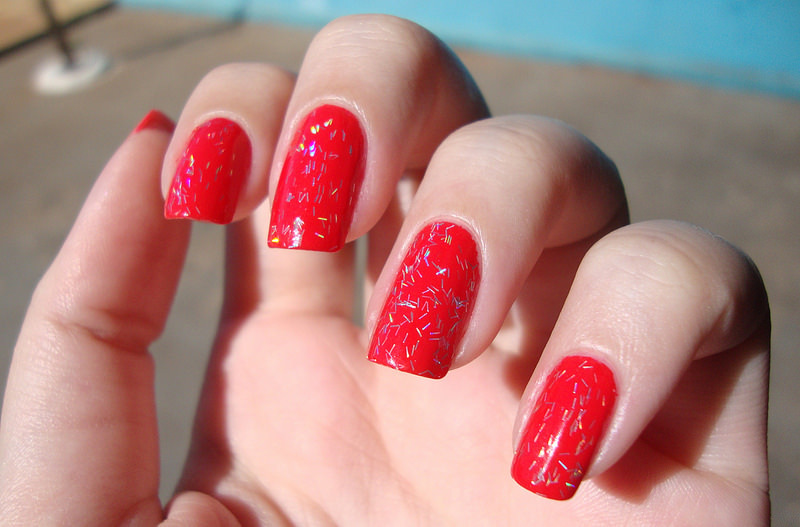 Most glitter nail designs are very high glass, but an ombre effect works great on matte nails. 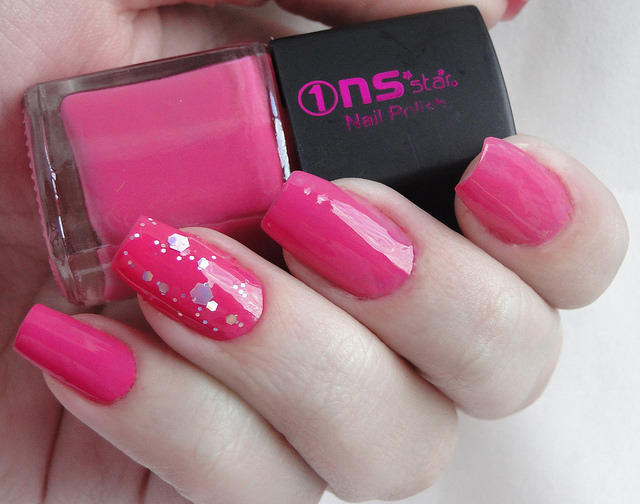 If you don’t want to be too flashy, stick with neutral base colors. 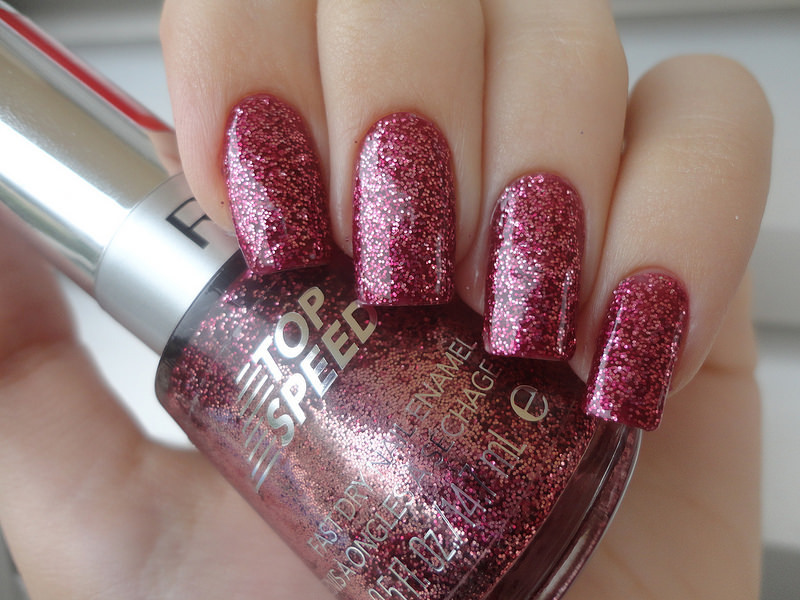 Another glitter trend is to coat the nail in glittery polish, then outline with a solid color to tone the manicure down.